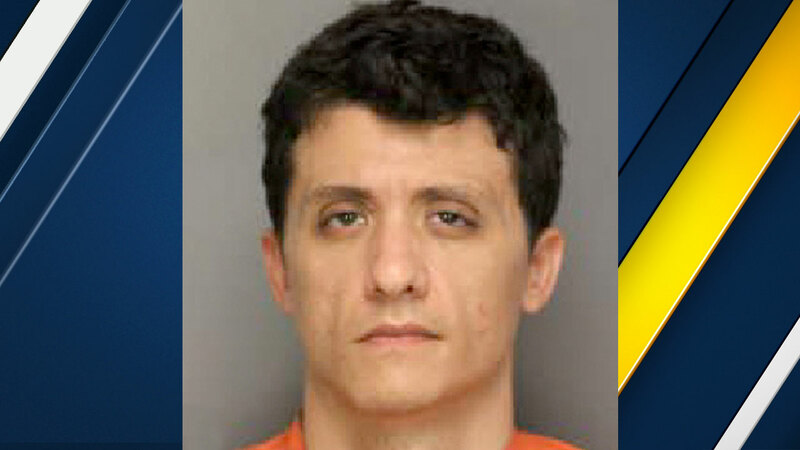 Ryan Daniel Buell is seen in an undated file photo. RALEIGH -- A television personality who claims to be a paranormal expert and looked for ghosts on the cable series "Paranormal State" is in jail amid theft charges. Ryan Daniel Buell, 34, is facing two felony charges related to theft and stolen property. He's also facing a misdemeanor charge of theft of services. All charges are in Centre County, Pennsylvania, where Buell was last known to be living. Buell was arrested on Sept. 18 in Florence County, South Carolina, the state where he grew up. Buell's role in "Paranormal State" involved looking for ghosts or trying to prove that life after death is real. He has a sizable fan base across the country, but fans started getting frustrated with him after he canceled shows without providing refunds. Buell had started a tour called "Conversations with the Dead Tour." Tickets were sold to shows in cities across the U.S. and Canada, but the shows got postponed and then canceled, leaving fans with no answers and looking for refunds. Fans were out hundreds of dollars and wanted their money back. Many of them never got a dime back. Some were able to get refunds by disputing the charge with their credit card company. In 2014, Chip Coffey, a long-time friend of Buell's, was scheduled to be on the "Conversations with the Dead Tour" with Buell. He said thousands of dollars were at stake. At the time, Coffey said Buell and his team were in charge of all the details for the tour, but nothing was booked, despite selling tickets to the show. "I know that the last accounting I had, with regards to ticket sales for the 'Conversations with the Dead Tour,' it was in excess of $80,000," Coffey said. The 2014 incident was not the first time Buell canceled shows. In 2012, he canceled some shows claiming he was fighting pancreatic cancer. In late 2013, Buell told People Magazine he was close to remission, ready to tour again and he started selling tickets for 2014 to another tour. Yet, several of those shows never happened. Buell later moved to Pennsylvania and once again started advertising shows and connecting with his fans on his Facebook page. Fans once again complained that Buell took money for events, and then they siad Buell either didn't show or the events were canceled - the most recent being a dinner in August. Now, Buell's mother is speaking out publicly. She posted several times on Buell's public Facebook page and The PRS Bureau's page. Buell's mother writes to Buell's fans, "PLEASE stop enabling his situation by sending money, buying tickets to events that may never occur, buying merchandise/phone calls you may never get, paying money to watch him on Twitch, and giving him offers of shelter ... I am pleading with you out of LOVE for my son and I'm frightened by what his situation has become." Fans and one-time fans quickly commented on Buell's mother's post. Some are defending Buell, while others say how Buell has taken money from them, too. One fan talks about how Buell was sick, and his mom writes, "He's ill, but not from cancer. His family knows the REAL story. You all need to stop believing his lies and stop enabling him....PLEASE." At last check Buell, remains in the Florence County Detention Center in South Carolina.